It is not easy to get into Pinocchio’s world. Our purpose is to build three windows between the world of Pinocchio and our own. Several events and arrangements can be held at the same places. Gaming, talking, showing, celebrating, exploring. Collodi looks like a cascade of small houses. 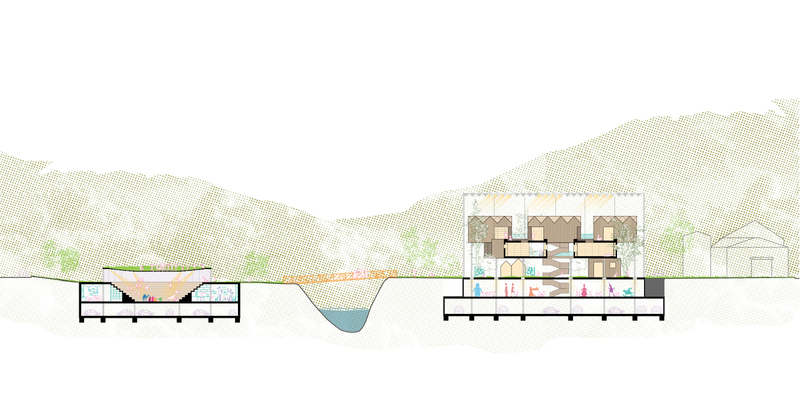 Pinocchio children’s library, a composition of a few forms, is just like a spoondrift of the cascade. The skylight, the evenly arranged showpieces as well boundary of fuzzy spaces recall a nostalgia of a fairy tale. Standing in the shadow of swaying trees, the Secret Tree House creates different interior and exterior areas, which form the reading area where the reader can focus, while also allowing the readers to enjoy the park view from a balcony. 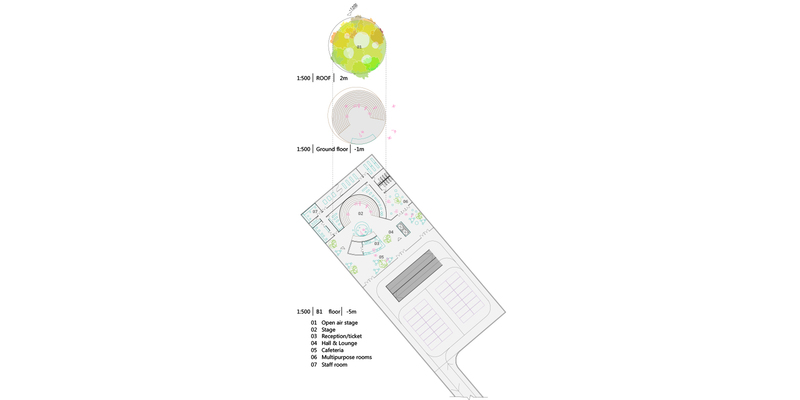 The auditorium is in the park, resembling a music box in the midst of nature. When the music sounds, the garden revolves – opening the window to Wonderland. 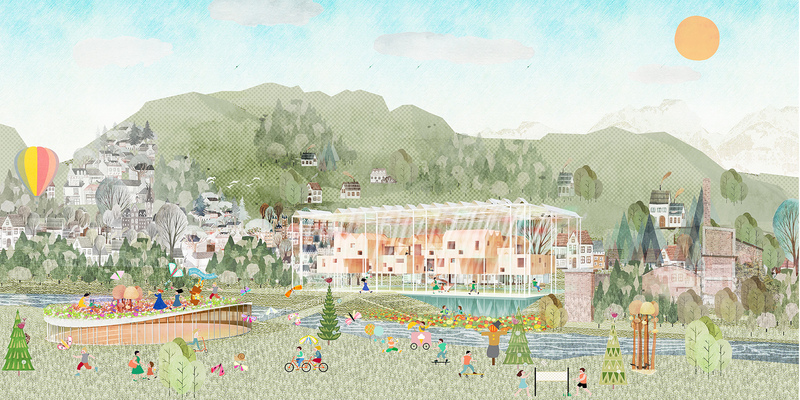 Pinocchi’s childen’s library is part of The Polycentric Park. The Children are encouraged to adventure and explore to find the identity of himself/herself. 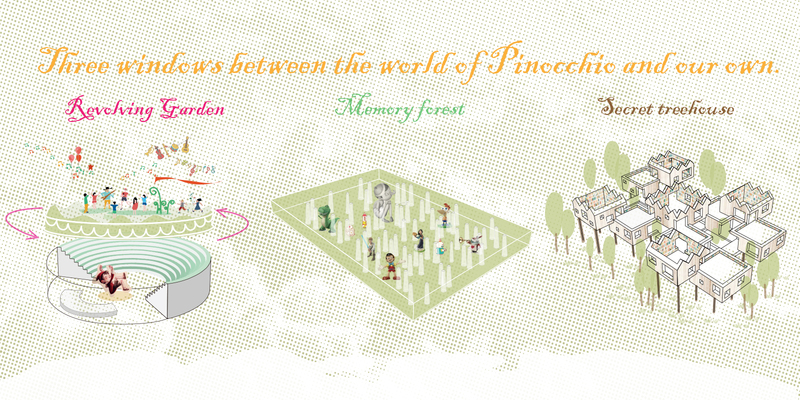 Collodi (Collodi European Childhood Capital) will be the guardian of Pinocchio’s Wonderland. The city of Collodi itself is a safeplace for Pinocchio in the past, the present, and the future.